Telosma cordata is commonly known as Tonkin jasmine, Pakalana vine and Tonkinese creeper. I have named it as Marble-leaf climber. 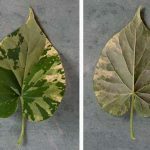 The leaves are very attractive with dark green, light green and white colours, having interesting marbled effect. 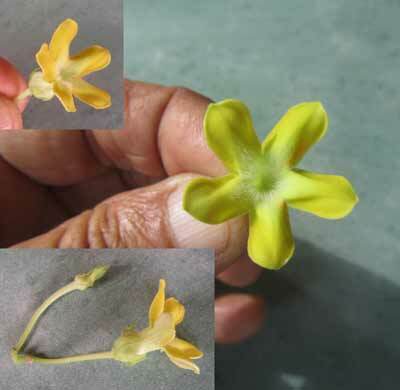 The climber has yellow flowers and blooms normally in monsoon. Though the climber has flowers, it is a shy bloomer; it does not bloom profusely. 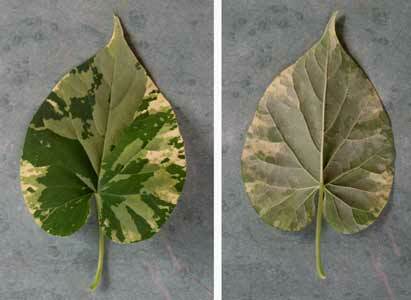 However, its attractive leaves compensate that deficiency. The climber is easily propagated with stem cutting. 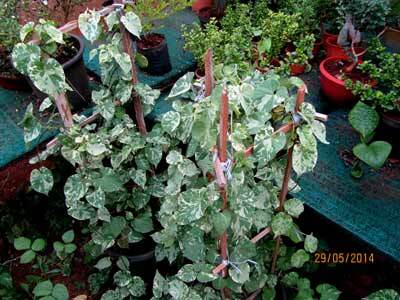 It can tolerate full sunlight but on terrace or a cemented floor the leaves may get scorched due to reflected heat. It grows best in semi shade. 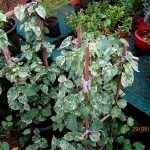 This climber can be grown in pots and can be a trellis mounted in the pot. It is also suitable for arches or pergolas.